Posted on July 12, 2016 by Oakville Galleries. One of the earliest photographs in Oakville Galleries’ collection is this work by Peter MacCallum, who has spent more than forty years meticulously documenting Toronto’s architecture, industry and urban spaces. 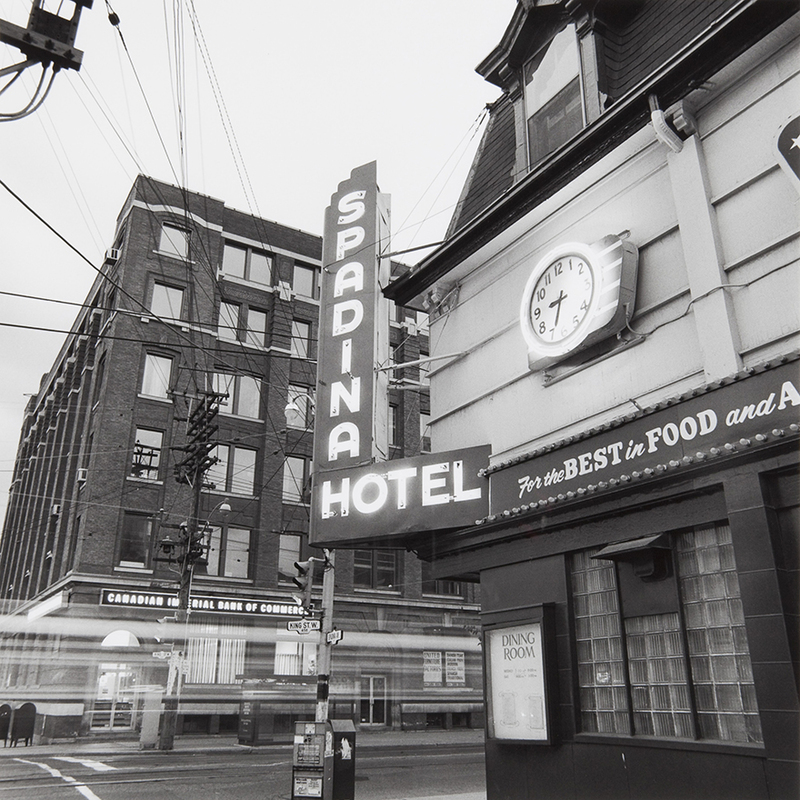 A slice of vintage Hogtown, Spadina Hotel at Night (1979) captures a bygone era at the corner of King and Spadina, with the Canadian Imperial Bank of Commerce on one corner and the legendary Spadina Hotel—whose Cabana Room was then home to a raucous underground art and music scene—on the other. Like many of MacCallum’s early photographs, this work alludes to the vibrancy taking shape in Toronto at the time, even as the city maintained a reputation for being staid and buttoned up.